Most people can be helped in 4 to 6 sessions although some people need only one or two and others with more complex difficulties may require more. The aim is to help you in as few sessions as possible. Appointments can be made in the day or evening at a time that is convenient to you. I measure progress at every session and tailor the therapy to the unique needs and characteristics of each individual. Therapy sessions last betweeen 60 – 90 minutes and the aim is to ensure you feel better before you leave. Individual sessions cost £75 and are usually for one hour. The initial session is for up to two hours and costs £90. In certain circumstances staged payments can be arranged, just let me know. There are concessions available for those on income support, senior citizens and students. Couple sessions cost £125 for an hour and a half. An initial session may be held as a couple or seperately as individuals, the costs for a couples initial sessions is £150. If individual initial sessions are chosen then see Individual session payments. 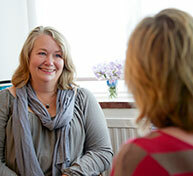 Therapy sessions take place in Sussex at centres in Brighton & Hove and Ardingly. I can travel to clients homes in certain circumstances and there can be additional travel expenses charged in these cases.